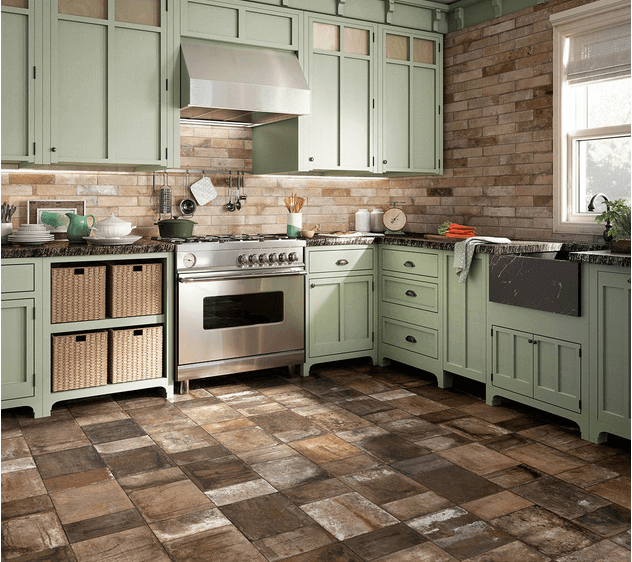 When it comes to tile flooring, there is no shortage of materials, colors, textures and designs to choose from. 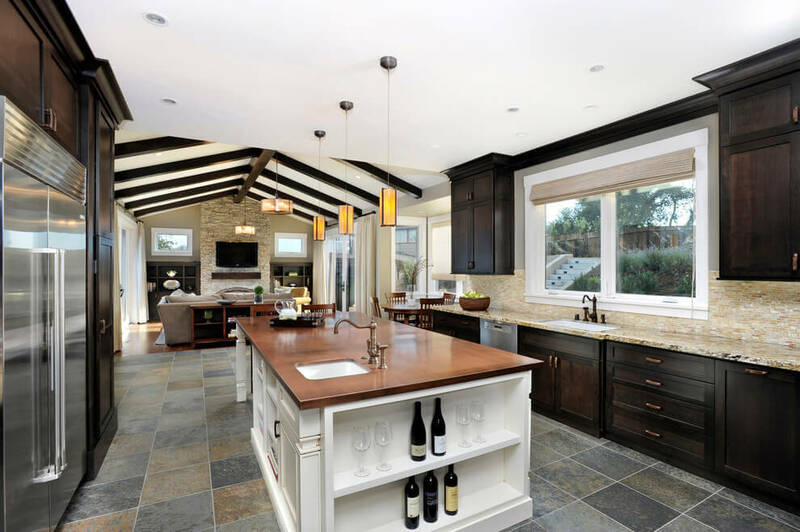 However, not every type of tile is appropriate for every space. Here are 8 tips to select the best option. You can also use our Flooring Calculator to quickly estimate your project costs. When browsing different types of floor tiles, one of the most important features to pay attention to is to isHardness (the Moh’s scale). It measures the material’s ability to withstand wear/foot traffic, as well as scratches. The ratings are issued by the Porcelain Enamel Institute and are based on rigorous laboratory testing. You can use this scale to select a product that is most suitable for your room’s function. Class I: No foot traffic. Appropriate for wall-only application. Class II: Light traffic or interior wall applications. Best in areas with soft soled to normal foot traffic, with no scratching dirt. For example, bathrooms and bedrooms with no exterior access. Class III: Light to moderate traffic, as well as countertops and walls. Appropriate for spaces with normal foot traffic and small amounts of scratching dirt. All rooms of the home, except for kitchens, entryways, and other areas with high foot traffic. Class IV: Moderate to heavy traffic. It can be installed in all areas of the home, including kitchens, halls, entryways. Class V: Heavy to extra heavy traffic, as well as exposure to scratching dirt. Works well in any room of the house, as well as commercial spaces. Another critical feature not to be missed is porosity. It is determined by the ratio of air holes to solids in a tile, which impacts the amount of water it absorbs. 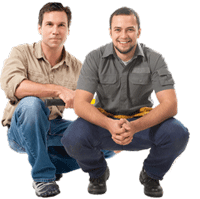 If you are doing the install in a moisture prone area, such as a bathroom, kitchen, mud room, laundry room, pay close attention to this rating. Impervious: water absorption of 0.5 percent or less. Recommended for use in the kitchen and especially bathroom. Vitreous: water absorption of 0.5 percent to 3 percent. Semi Vitreous: water absorption of 3 – 7 percent. Non Vitreous: water absorption of more than 7 percent. This category is not recommended for floor use. 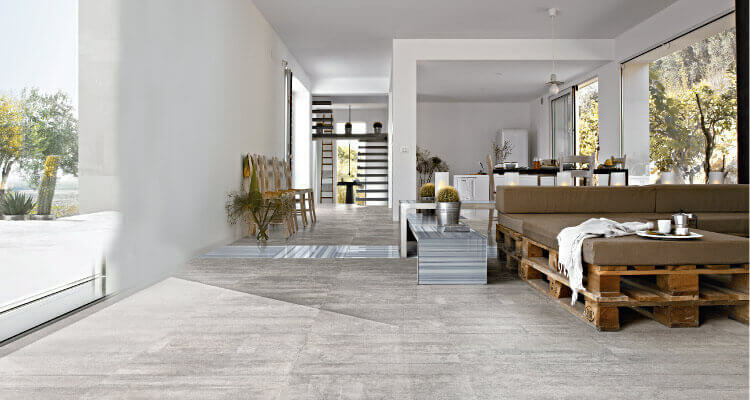 If you are looking for a material that has strength, moisture resistance and versatile design, porcelain is the best choice. It is more durable than ceramic and comes in a greater variety of styles, colors and textures. Not all porcelain products are made equal, and you need to check the specs of each one. Today, thanks to highly advanced technologies, there are options that have a higher than average hardness and moisture resistance (these cost more). These would be ideal tiles for a kitchen floor or a bathroom. 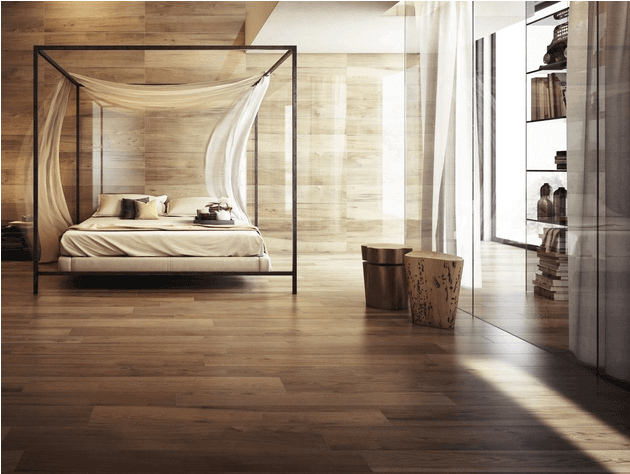 Also, if you want the high end look of wood or stone without breaking the bank, there are marble or wood look porcelain tile products. These designer tiles are manufactured using innovative digital ink-jet printers that create an almost identical copy of the texture and color of natural materials. Most tile materials tend to be slippery, and all the more so, if water is introduced into the equation. If you have children and elderly people in the house, it is very important to install slip resistant tile. The bathroom is a prime place where fall accidents may happen, particularly the shower area, so good slip resistance is highly recommended. When shopping around for a shower tile floor look for products with a high COF (coefficient of friction). It is best to install tile sizes that are 4×4 or smaller. Avoid using ones that are bigger than 6×6. 1.Ceramic or Porcelain: choose a product that has a special textured surface. Inquire about slip resistant coatings. 2.Slate: this beautiful stone has a naturally slip resistant texture. 3.Small size tile (glass, mosaic, etc): these have more grout lines, making the overall surface more textured and therefore slip resistant. Penny tile rounds are another beautiful design that provides ample traction. They typically come in size 2×2 or smaller. As a result, they would be perfect as shower tiles. 4. Pebble stone: has a highly textured surface and boasts a unique visual aesthetic. If you love the look of hardwood but don’t want to deal with maintenance, consider installing wood ceramic tile. It is highly durable, scratch and moisture resistant. Best of all, different high-end brands make products that masterfully recreate almost any wood species from domestic to exotic. Even distressed and reclaimed wood grain ceramic tile is available! These will look stunning as a kitchen floor tile, particularly in more traditional or rustic spaces. Also, its ideal as a bathroom or a shower floor tile, where a real hardwood would not be recommended. If you are worried about porcelain tile being cold to the touch, you can add radiant floor heating under, and it will feel even more pleasant than real wood! If luxury and incredible durability are your top priorities, stone floor tile is second to none. 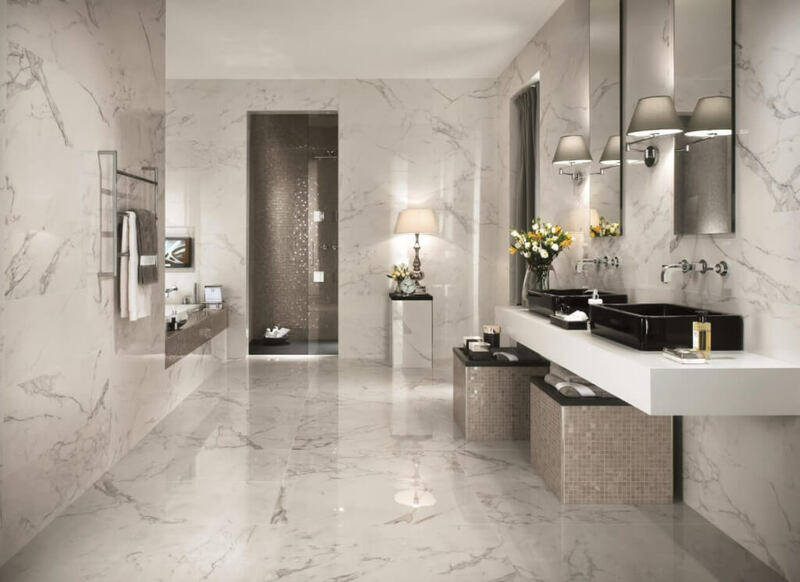 Marble, granite and travertine can elevate the look of any room of your house. Because no two stones are exactly alike, you get a naturally beautiful floor that will look like no other. Larger tile sizes, at least 12×12, look particularly impressive and help create a uniform seamless look that is ideal for modern interior designs. Its important to note that unlike other types of tiles, stone needs to be sealed to maintain durability and remain resistant to stains. Unsealed stone may remain porous and therefore susceptible to water infiltration. In worst case scenarios, it may even begin to crumble. After being initially sealed during the installation process, it will need to be resealed every 5-10 years to maintain optimal looks and quality. If you have a room that is small and or does not have a lot of natural light, you can improve it by installing light color tile. White, sand, beige, cream, etc are all good choices. Marble or ceramic/porcelain would be a good match for this application. Larger tiles tend to make a small room appear bigger. You can even install the same material on the walls, which will further enhance the illusion of expanded space. To amplify the affect, and create a seamless flowing surface use a matching grout color. This works particularly well in small or tiny bathrooms. 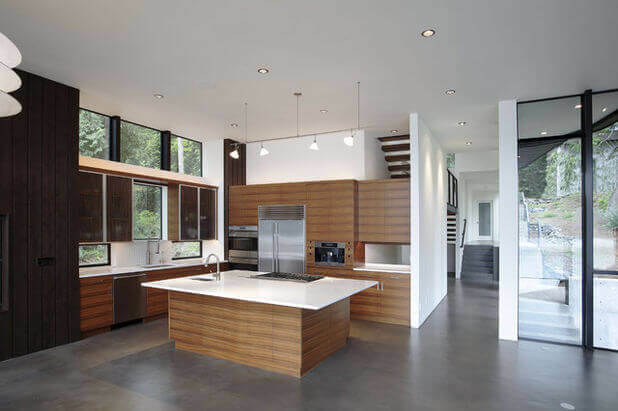 If you want a very modern, upscale feel in your home, consider concrete tile. It is a highly versatile material that can be used in any room of your house: kitchen, bathroom, living room, etc. Compared to other types of tile, concrete’s biggest advantage is that it can be custom made for your particular application. You can choose the size, color and texture of concrete, request custom cutouts, embeds, special imprinted patterns, as well as three-dimensional sculptural designs. Thus, your design options are virtually endless. The best part: this unique custom-made flooring is rather affordable. Installation costs range from $6-8 per square foot, which is cheaper than natural stone. Moreover, concrete is one of the most durable, and long lasting options. It is highly resistant to foot traffic, staining, moisture. Once installed, you will most likely never have to replace it again! The only major downside is extreme hardness. Some people may find it uncomfortable to the touch when walking with bare feet. Also, small children or elderly individuals would get hurt, if slipping and falling. I love your last picture of the white marble flooring. you’re right, it does make it bigger and works well with the bright lighting. I would love to get that installed in my bathroom. I just need to find a contractor and go over pricing. I really appreciate your tip to use ceramic wood tiles instead of hardwood. My mom and step-dad love to use ceramic wood tiles because it looks just like wood but requires far less maintenance than hardwood. Thanks for the tips, I’ll be sure to refer to your article the next time I’m choosing tiles for my house! I had no idea that there were air holes in tile and that the porosity level is used to determine how many. I can see why this would be important to be aware of when choosing the right flooring for your room. My sister is currently remodeling her house. I’ll have to talk to her about what kind of floor she is wanting to put in. I didn’t realize there were different tile hardness categories including some that are only appropriate for wall use and not foot traffic! I would imagine that since there seems to be so much about tile that I don’t know, it would be essential for me to work with a professional when choosing tiles. I am sure that a renovation contractor would be able to help me out. Wood takes a lot of work to maintain. I agree with the article that if this is a problem for you, it would be worth considering another option. When wood gets scratched, you need to sand it, re-stain, and re-finish it. If you don’t get the right stain, you may have to do the whole floor. That’s a lot of work. That’s interesting that the Moh’s scale measures the material’s ability to withstand wear/foot traffic, as well as scratches. Knowing that can help you choose what flooring you need for that high traffic hallway. I’ve been thinking about getting tiles that would work with a modern look. I appreciate your tip on checking how porous a tile is before you install it in the right area. It would seem that if you are installing it in an area that gets wet porcelain would be a good bet because of it’s resilience and moisture resistance. I’m looking to retile my bathroom so maybe porcelain would do well. I like how you say that you would want to get tile that is slip resistant. Having something that will give you a little extra grip in areas like the bathroom would probably be really important. I’m looking for new tile for my bathroom after a remodel so I’ll have to find some that are slip resistant. Your article was super helpful as well as insightful on how to choose flooring, especially picking a slip resistant tile. I didn’t know this was an option till now, and looking for products with a high COF will ensure that. I’m looking to redo our bathroom and this will be super helpful in keeping people safe from the wet floors. My husband and I are in the process of remodeling our house, and we are looking into different types of flooring. I like the idea of using tiles but am curious to know about which kind to use, and if there are benefits to it. I love the suggestion of using ceramic wood since it is something that is durable and moisture resistant. I like your point about avoiding slippery tile. My wife and I are thinking about putting new tile in our hall bathroom. We definitely will want to make sure we find the right tile that doesn’t have our kids slipping all over the place. I absolutely love your pointers about which tile floor I should use for different rooms in our house which we are currently renovating. I like that you’ve provided such detailed and comprehensive list of characteristics of which tiles would be most appropriate for every situation. I’m blown away by your concept of using light-colored tiles in the bathroom and I’d like to use it as a reference to our project as well. Stone tiles really do date you back to the old times. The natural feel of the stone tiles makes it appear like being one with nature in every aspect but still being classy at the same time. 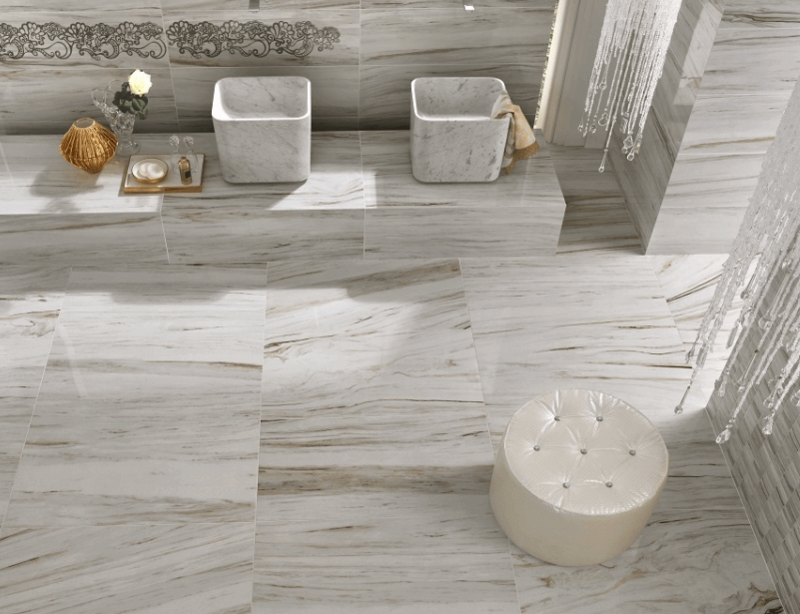 Floor tiles could really provide a huge amount of elegance to your interior so be sure to choose wisely. That is a great idea to install a light color floor tile in a small room! That would make the room seem a lot bigger than it actually is. I never thought about doing that! 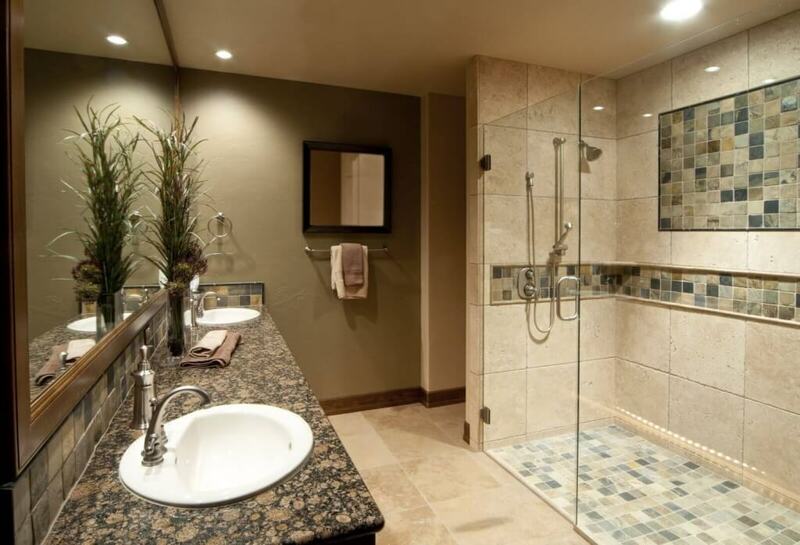 I have a bathroom that is pretty small, and it would be nice to make it feel bigger just by adding a lighter floor! I will have to give it a try! I’ve been choosing between having our hardwood floor refinished or installing a tile flooring around our house. My wife did say that porcelain flooring would be easier to maintain than wood and that there are plenty of designs that we could look at. I would appreciate the durability of this kind flooring as well so I’ll be sure to check them out and look at the designs. I liked when you mentioned how you should take the time to consider the foot traffic of a room before choosing the best type of floor for your needs. It is important to remember that doing some research and assessing your own needs can help you find the best floor for your home. We are planning on replacing our carpet and want to find the best type of floor that can serve our purposes and last, so I’ll keep your tips in mind as we choose the best floor. There are different flooring options hardwood, laminate, vinyl, tile flooring etc. And if you select tile flooring then it is the best option. But as there are different tile flooring options from that you have to select best tile flooring. For this you have to select size of the material, select the right finish, right color etc. Tiles that have sculpted or textured edges are much harder to clean. Grime can build up in the crevices and are very difficult to maintain. From personal experience. I would highly recommend a straight edge tile. I like that you said that porcelain is durable, but versatile. I have been thinking about what kind of tiles we would like to have in our bathroom, and this has really helped me. We have a lot of rambunctious people and animals in our home and I think that this would really stand up to anything that gets thrown at it. Not many homeowners would ever consider the hardness of the tile when choosing it, so I like that the article brings that up. After all, it might be easy to forget, but you will be walking along that tile every day in your home, so you’ll want it to be comfortable. The hardness will also likely have an effect on its durability, so you’ll want it to last if you have pets or kids running around the house. I’m thinking of getting tile installed in my home. I thought it was really helpful how you suggested using impervious tile for my bathroom and kitchen since it doesn’t let any water through. I’ll keep this in mind since I want to make sure my floors are properly protected.